Tá Bunscoil Phobal Feirste lárnach i saol na Gaeilge i mBéal Feirste. Is é an tasc atá againn ná oideachas den scoth agus cúram tréadach a chur ar fáil do gach paiste trí mheán na Gaeilge. Aithníonn muid an cumas atá ag achan pháiste agus bíonn gach paiste faoi bhláth faoinár gcúram. Tugann muid aire do riachtanais gach páiste, fisiciúil, spioradálta, acadúil agus mothúchánach. Tá cothú muiníne ina chuid lárnach i ngach gné dár gcuid oibre. Is pobal é ar scoil. 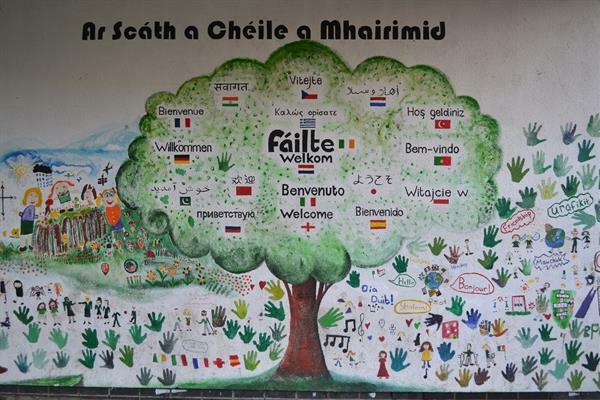 Oibríonn muid le chéile: páistí, múinteoirí, príomhoide, gobharnóirí agus gach duine eile a oibríonn sa scoil. Aithnítear an ról tábhachtach atá ag tuismitheoirí in oideachas a bpáistí. Tá tábhacht nach beag againn i dteanga dhúchais agus cultúr ár dtíre. Ceiliúrann muid agus cothaíonn muid ár dteanga agus cultúr araon. Cothaíonn muid ár bhféiniúlacht agus glacann muid le héagsúlacht ag gach leibhéal. Foghlaimíonn muid óna chéile. Bíonn ardmheas ar na páistí agus is baill iomláine na scoile iad ón chéad lá agus is é an aidhm atá againn ná scileanna riachtanacha saoil a thabhairt dóibh agus ár ndícheall a dhéanamh le ligean dóibh a bheith ina bhfoghlaimeoirí neamhspleácha. Aithnítear go mbíonn muid uilig ag foghlaim i dtólamh. Cuireann an fhoireann teagaisc lena dtaithí ghairmiúil féin agus a bhforbairt féin i rith an ama. Oibríonn muid i dtimpeallacht atá atá slán agus sona. Mothaíonn na paistí sona agus slán ó chontúirt agus éistear le gach duine acu. Bíonn béim againn ar mheas agus dea-iompar sa scoil. Ceiliúrann muid éagsúlacht. Déantar gach iarracht agus rath a cheiliúradh bíodh sin istigh nó amuigh den scoil. Tá sé tábhacht againn agus déantar sin go minic. Tá fís agus éiteas na scoile bainte amach gach lá i ngnéithe éagsúla de chleachtas éifeachtach na scoile, ina measc: gaiscí agus chaighdeán na bpáistí, ardchaighdeán teagaisc agus foghlama; cothú dea-chaidrimh ar fud na scoile agus an t-atmaisféar dearfach sa scoil. 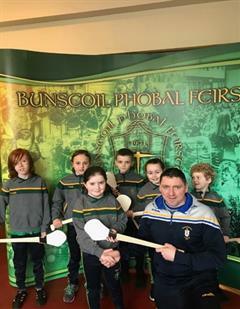 Tá atmaisféar láidir, cuidiúil agus cairdiúil i mBunscoil Phobal Feirste agus Naíscoil Bhreandáin le socruithe i gcúram tréadach molta ag an chigireacht i 2012 mar shocruithe den ‘scoth’. Chuidigh scoth iompar na bpáistí; dea-chaidreamh oibre leis na torthaí seo. Tugann cuairteoirí agus tuismitheoirí faoi deara go minic faoin timpeallacht chroíúil, fháilteach seo. Oibríonn an fhoireann go dúthrachtach le chéile leis an atmaisféar a chinntiú do phobal na scoile. 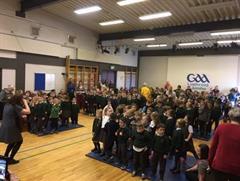 Cuidíonn Bord na nGobharnóirí go dearfach le féinfheabhsú i mBunscoil Phobal Feirste agus Naíscoil Bhreandáin roinneann an Bord freagracht i múnlú na scoile amach anseo. Tá an scoil dáiríre i ligean do na paistí a bheith páirteach agus i bplé agus i gcainteanna faoi saol na scoile mar a bhaineann sé leo. Iarrtar dearcaidh agus barúlacha na bpáistí go minic agus éistear leo agus déantar de réir. Tá siad tábhachtach againn. Is pobal ann féin chomh maith an scoil s’againn. Is i gcomhar le chéile a bhíonn gach duine ag obair, múinteoirí, páistí, an príomhoide, gobharnóirí agus gach duine a oibríonn sa scoil. Aithnímid go bhfuil ról an-tábhachtach ag tuismitheoirí in oideachas a gcuid páistí. Tá dáimh againn le cultúr agus le teanga dhúchais na tíre seo. Déanaimid an cultúr agus an teanga a cheiliúradh agus a chur chun cinn. Bainimid leas as ár bféiniúlacht féin. Bímid uilig ag foghlaim óna chéile. Nuair a thagann siad i méadaíocht is baill fhiúntacha den phobal páistí na scoile agus scileanna acu le dul i ngleic leis an saol. Déanaimid an-iarracht foghlaimeoirí neamhspleácha a dhéanamh de na páistí. Aithnímid gur foghlaimeoirí muid uilig. Cuireann an fhoireann teagaisc lena dtaithí agus lena bhforbairt ghairmiúil i rith an ama. Oibrímid i dtimpeallacht atá slán sábhailte. Bíonn páistí sona sásta agus saor ó chontúirt agus éistimid le guth gach duine. Tá an-tábhacht le múineadh agus le dea-iompar sa scoil. Bíonn meas againn ar gach duine i bpobal na scoile. Bíonn meas ag páistí orthu féin agus ar pháistí eile. Léiríonn said meas ar fhoireann na scoile mar a léiríonn foireann na scoile meas orthusan. Déanaimid an éagsúlacht a cheiliúradh. Is tábhachtach linn gach rath agus éachtaí de gach cineál taobh istigh agus taobh amuigh den scoil. Nuair a éiríonn linn déanaimid sin a cheiliúradh. 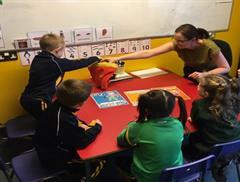 Bunscoil Phobal Feirste is at the heart of the Belfast Irish speaking community. Our task is to provide the highest standard of education and pastoral care for every child through the medium of Irish. We recognise the potential of the individual and every child flourishes under our care. We attend to the physical, spiritual, academic and emotional needs of the child. 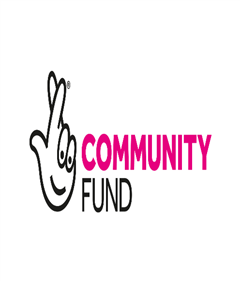 Promotion of confidence is central to every aspect of our work. Our school is a community. We work together: children, teachers, principal, governors and everyone who works in the school. We recognise the important role that parents play in their children’s education. The native language and culture of our country is very important to us. We celebrate and promote both our language and culture. We promote our own identity and embrace diversity at all levels. We all learn from each other. The children are valued and worthy members of the school from their first day with us and we aim to equip them with the necessary life skills as well as do our utmost to enable them to become independ learners. We recognise that we are all learners. The teaching staff broaden their own professional experience and development on an ongoing basis.We work in a safe, secure and happy environment. Children are happy and safe from danger and we listen to each individual. We emphasise the importance of respect and behaviour in school. We celebrate diversity. All effort and success achieved both within and outside school is important to us and is celebrated regularly. The school vision and ethos is realised every day in many aspects of the school’s highly effective practice such as: the children’s achievements and standards, the high quality teaching and learning; the promotion of good relationships at all levels and the positive atmosphere throughout the school. There is a strong caring and friendly family atmosphere within Bunscoil Phobal Feirste and Naíscoil Bhreandáin with arrangements for pastoral care in the school being viewed by ETI in 2012 as outstanding. The exemplary behaviour of the children; the quality of working relationships within the school also contributed to these findings. Visitors and parents also frequently comment upon this warm and welcoming environment. Committed, hard working staff also work very well together to ensure this environment for all involved with the school.Our Board of Governors make a positive contribution towards the journey of self-improvement in Bunscoil Phobal Feirste and Naíscoil Bhreandáin and share in the responsibility of shaping the school’s future. The school is committed in involving our children in discussions and decisions on school life that directly affect them. The children’s views and opinions are sought regularly, are listened to and are acted upon; they are important to us.